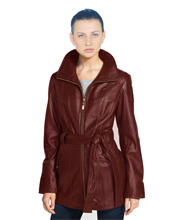 Spell timeless sophistication with this elegant cropped trench coat. An elegant mix of style and functionality, it exudes character and confidence. Hand stitched from soft lambskin leather ensures comfort fit. Full sleeves and slit cuffs tastefully complement the predominant fall collar. 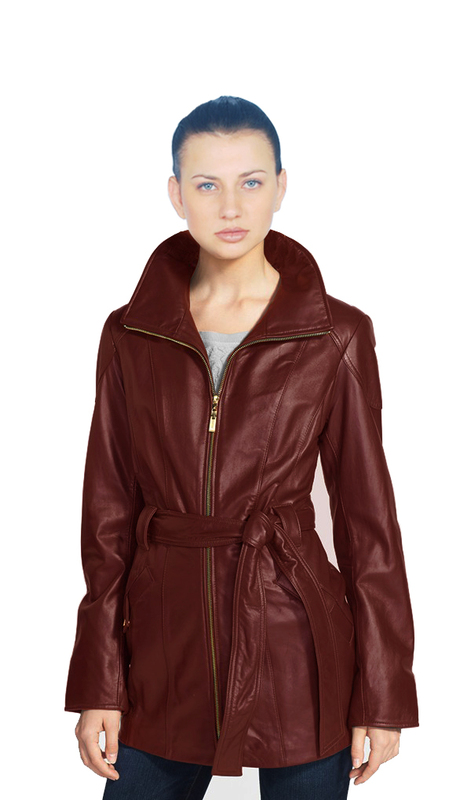 Make a fashionable style statement with this coat with a self tie.